This toe-tapping song sparkles effervescently, with just the smallest hint of a western Texas twang. It’s peppered liberally with fantastic handclappy percussion (it kicks into full glory about 1:15 in) that reminds me of my favorite Simon & Garfunkel moments — or actually, Art and Paul with a fresh twist, like the Local Natives playing the backyard. It’s also thoroughly drenched in golden ’60s summer surfing harmonies. After listening to it a handful of times, I was already singing along. 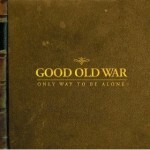 Good Old War is a trio from Pennsylvania, and this track is off their 2008 album Only Way To Be Alone. A few folks have written to me, urging me to take a listen, including one fella who breathlessly declared it his favorite album of the summer, maybe the year. Okay, I’ll happily bite, if this is a sample of what’s to come. Tagged with good old war. Ooh! I think this means we partially “made it” as a blog, since yours was a big reason for me wanting to start one. So thanks. And, by the way – excellent, excellent song. exactly what i needed today!!! 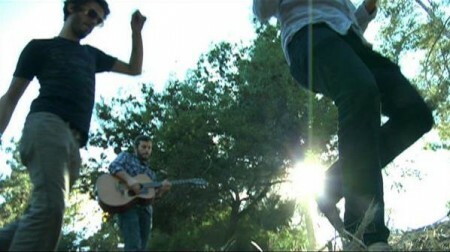 Great band, great blog, great post. No mention of their amazing previous band Days Away, though? Listen to “God and Mars” and “T. Cline’s Decline”, hell anything from Mapping An Invisible World, and tell me it’s not golden. i hope you give me a listen maybe post me on your blog :)thanks so much. Nice! This will be in my head for a while.